Geli Plain Greek Yogurt is the latest addition to the fermented milk line of Geli Foods. 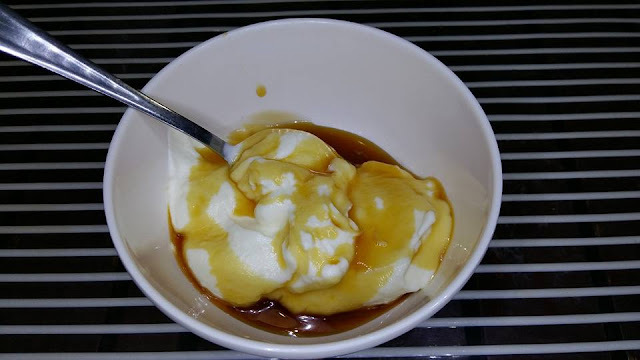 It utilizes the all-natural Geli Plain Yogurt, filtered hygienically in a controlled-temperature environment, to produce a thick, creamy, all-natural, very affordable, and truly local Geli Plain Greek Yogurt. 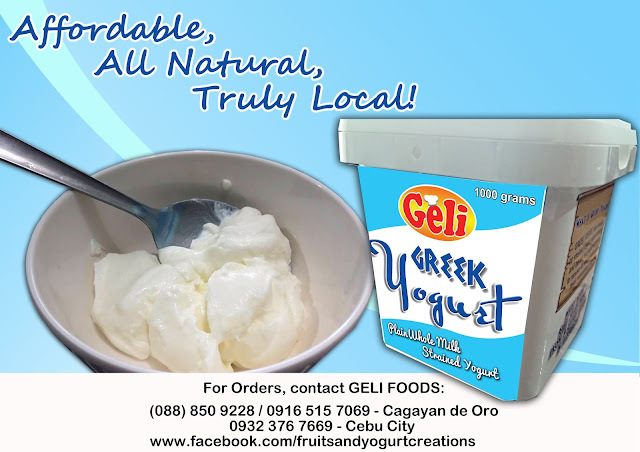 Geli Foods is the first local company based in Cagayan de Oro City to produce greek yogurt in the country. As all of greek yogurt available in supermarkets are imported, Geli Plain Greek Yogurt is significantly more affordable than other brands. While Geli Foods is in the process of getting approval to display in supermarkets, Geli Plain Greek Yogurt is available on a per order basis. GELI Plain Greek Yogurt with honey. Perfect for breakfast, snacks and desserts. Currently, Michelin-star chef Jason Atherton of ‪#‎ThePigandPalm‬, a new place for fine dining in Cebu City, uses Geli Greek Yogurt, and so with Restaurant Damaso and Chino's Deli in Cagayan de Oro.